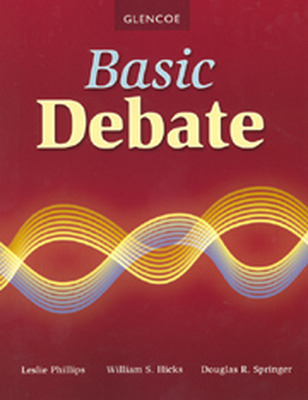 Basic Debate teaches the fundamentals of debate, from the skills of analysis and research to techniques of cross-examination and logical reasoning. Students using this program naturally develop the confidence to move with ease through many academic pursuits. In-depth coverage of the role of ethics in research, preparation of evidence, and debate competition promotes critical thinking, while an expanded chapter on Lincoln-Douglas debate brings historical perspective. Prepare your students to argue clearly and effectively with complete explanations of the various types of debate propositions.